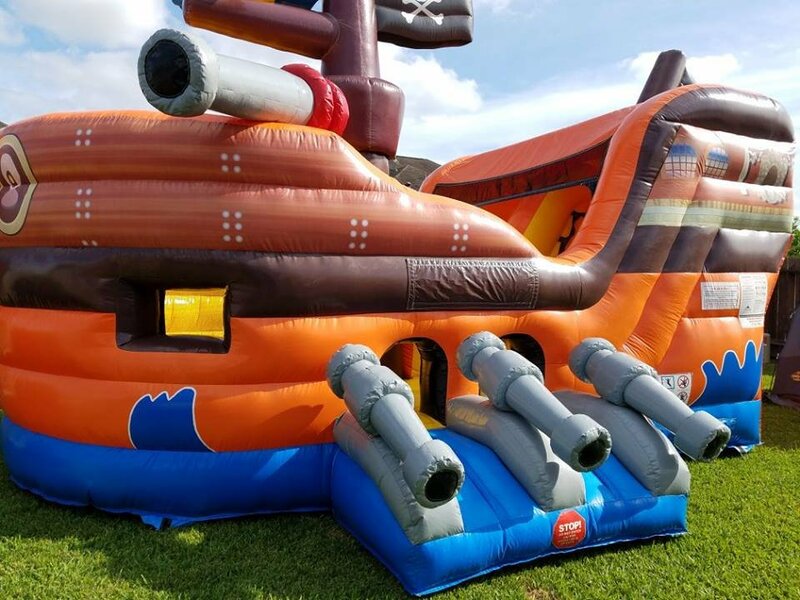 Designed just like a Pirate Ship. 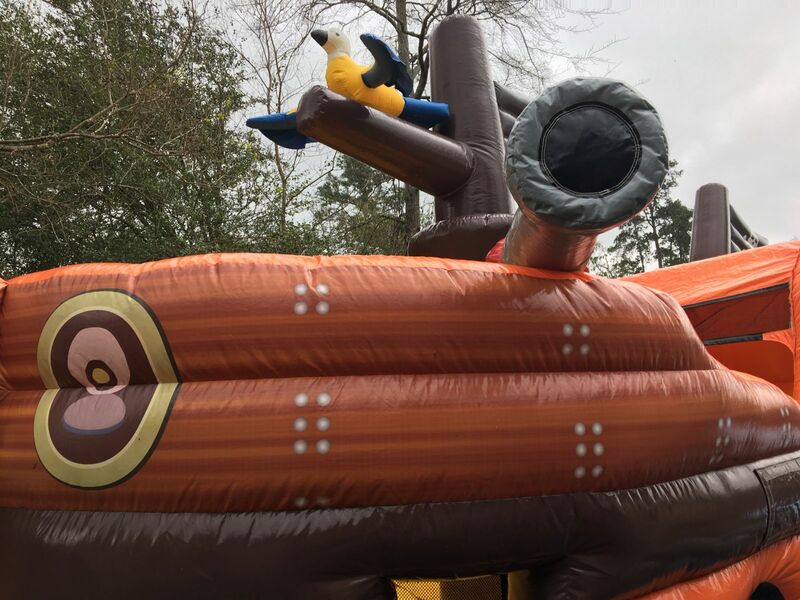 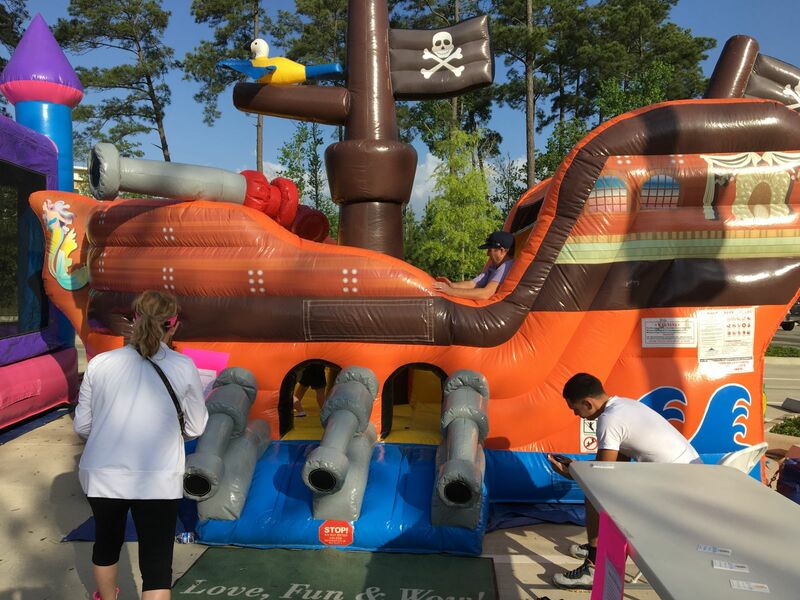 This bouncing boat has all of the 3D Feature you would expect along with a great and vibrant color scheme to give you the real look and feel of a true buccaneers prize. 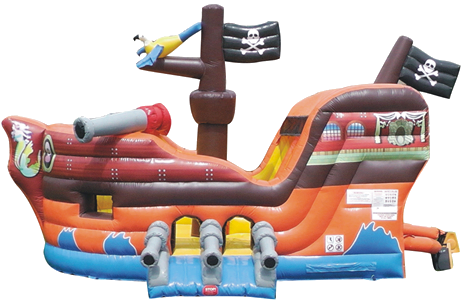 Complete with 3D Realistic Cannons, Sail Mast, a Parrot, a Mermaid on the Stern and 2 flying Jolly Rodger flags. 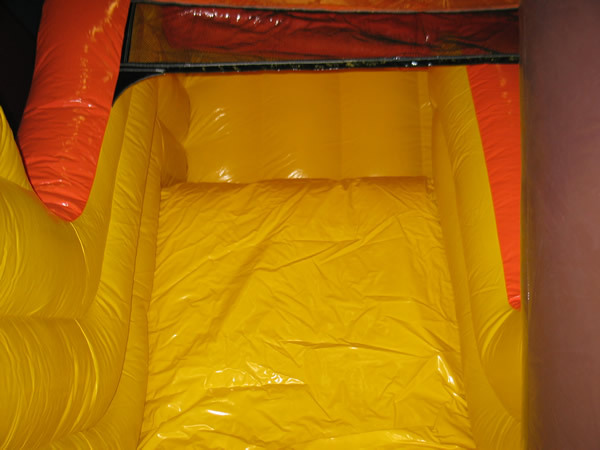 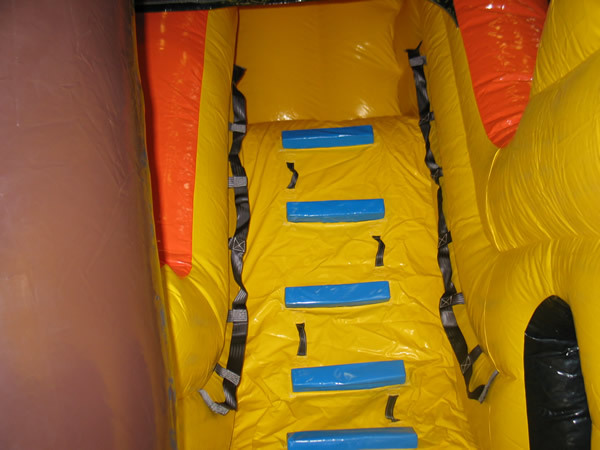 This Unit comes with double safety entrance/exit,climbing wall,slide,basket ball hoop and of course bounce area. 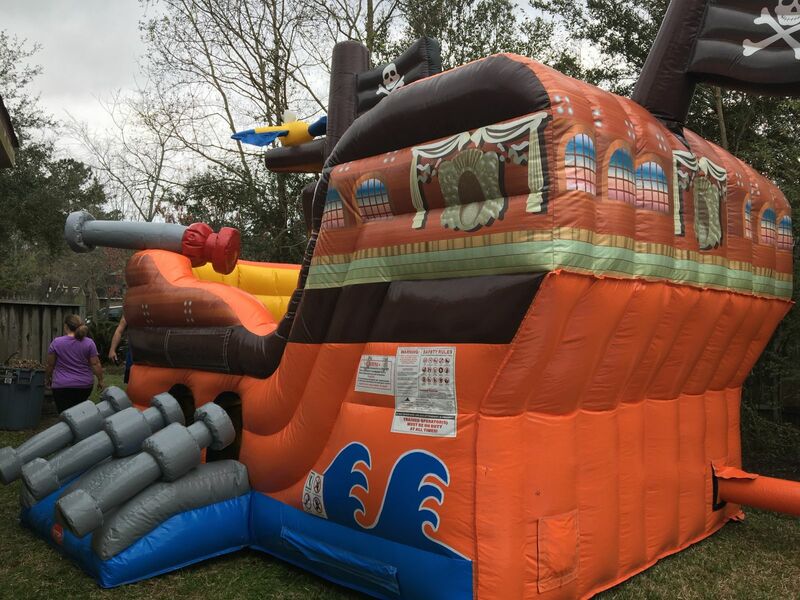 Great for any party or event.